Autism is a developmental disorder observed in first two three developmental years of a child’s life. It is usually characterized by impaired social interaction and repetition in most of actions. This disorder originates in childhood and become serious with age. Individuals with Autism have restricted social life and find it difficult to communicate or socialize with others. 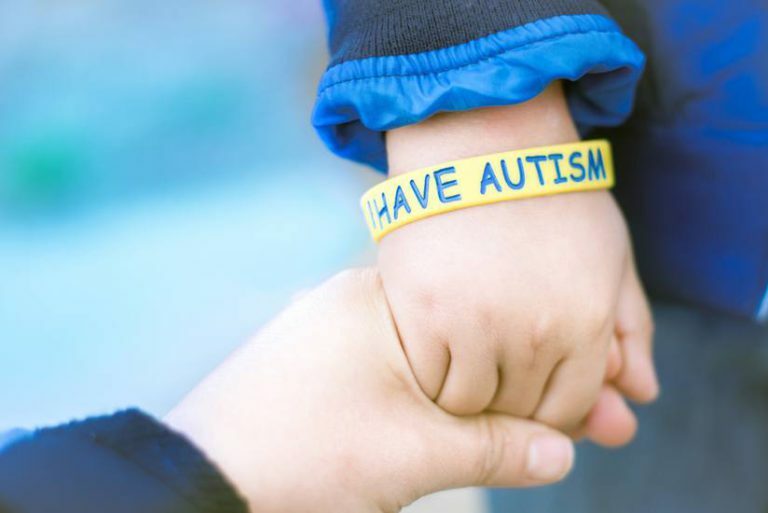 Autism is known to cause by combined genetic and environmental factors, such as poor maternal care during pregnancy, having an older parent, family history of disorder, etc. Autism spectrum usually called as Autism Spectrum Disorder (ASD) is a serious neurological developmental disorder in which the individual find it difficult to maintain a normal social life or do normal routine tasks. An example of ASD commonly found in children of two to three years of age is Asperger’s Syndrome; which is a milder form of ASD and is usually restricted to normal language like difficulty in communication, use of unusual language, clumsiness etc. Due to restricted social behaviour and clumsiness which is usually not given much attention during early period of a child growth, such disorders get unnoticed. As per reports, in India, there are approximately two million cases of ASD. ASD is a significant health concern and should not be avoided. However, due to less awareness and studies on ASD in India, numbers of such cases are on rise. A study conducted by psychologists from USA*, reported that some Indian paediatricians are usually not concerned with speech and language delay until three years of age which is a major concern as these are early sign of the developmental disorder which should not be ignored by caretakers and doctors. Other factors which are contributing in rise of ASD cases in India include cultural differences, socioeconomic factors and social negligence by most of urban families, metro cities lifestyle etc. Misdiagnosis with other neurodisorders or underdiagnosis is also a major cause of rise in number of cases. Individuals with ASD need special attention and care from their families and caretakers. Early diagnosis and care can avoid bad circumstances for them in future and can help them to retain their ability to do normal routine tasks. But major question that most of expecting and new parents ask is how to diagnose if their child is a sufferer? Well the diagnosis is made mostly on identified symptoms like repetitive behaviour or inability to socialize or communicate properly. Screening is usually done for such cases and diagnosis is confirmed based on certain tools like questionnaires, likert scales and certain specifically designed indexes for the disorders. Individuals with ASD are also assessed for other co-morbid conditions like attention deficit hyperactivity disorder, Down’s syndrome, epilepsy and other neurological developmental disorders that might be the cause of such behaviour in sufferers. Pathophysiologically, autism is a result of inflammation in both central and peripheral immune system. There is marked increase in pro-inflammatory molecules in individuals with Autism. Most of the children with Autism are prescribed antipsychotic drugs which have limited effects and are known to have many side effects. With limited treatment options available for ASD, the treatment is not pocket friendly and cause a major burden on parents. Moreover, the results are not promising; many of these drugs are reported to cause irritation and drowsiness in them. Many alternative treatment options like specific diets, special education classes have failed regaining the social behaviour in such patients. Alternatively, stem cells therapy is gaining popularity now days for treating ASD. Most of the clinical trials suggested positive effects of stem cell therapy in children with Autism. Umbilical cord blood stem cells have shown a remarkable lowering of pro-inflammatory molecules such as cytokines. These mesenchymal stem cells have shown promising results in clinical trials. The two main molecular problems in ASD is reduced oxygenation in certain parts of brain and marked inflammation of immune system. Stem cell slows down the inflammation reaction in the system; decrease in inflammation helps in alleviating the symptoms such as irritation, repetitive approach and unusual use of language in autistic children. Reduced oxygenation or hypoxia which is resulted due to brain hypoperfusion in Autistic children has also showed a positive reduction in symptoms due to stem cell therapy. Due to their angiogenic properties and self renewal activity they help in forming blood vessels around affected lesions and thus increase oxygen supply around hypoperfused regions. There are many phase I clinical trials which have showed positive results in use of autologous cord blood stem cells for treating autistic children. Stem cells have shown promising results in treating autistic children, many children with ASD have shown increased social activities and interests in many such activities and less irritability. With their ability to replenish oxygenation in brain tissues and decrease in inflammatory response stem cells are considered as a ray of hope for treating ASD with fewer side effects.